All Creatures Veterinary Center is a full service vet clinic and pet boarding facility. We take both emergency cases as well as less urgent medical, surgical, and dental issues. Learn more about our team below! "Our team is really committed to treating each other and all of our clients like family. Because of this, we are kind, committed, and compassionate and all work well together to make our hospital a great place to work!" 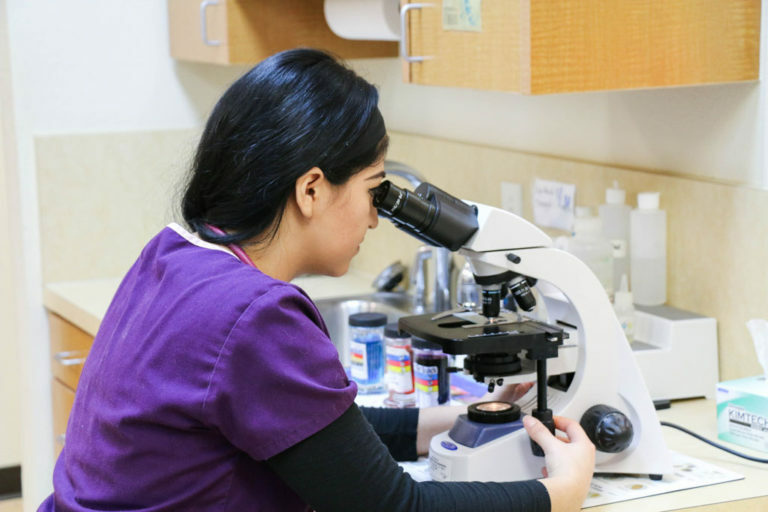 In addition to diagnostic and preventative services, our hospital is equipped with digital radiography, digital dental radiography, in-house labs, cold therapy laser, ultrasound, and echocardiogram. We’re focused on making sure our hospital has the right tools to allow our doctor and medical staff the ability to provide excellent service and care.